It is almost time for Halloween! 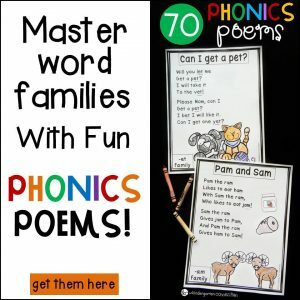 Learning color words will be so fun this season with this engaging free printable for your literacy centers or classtime. 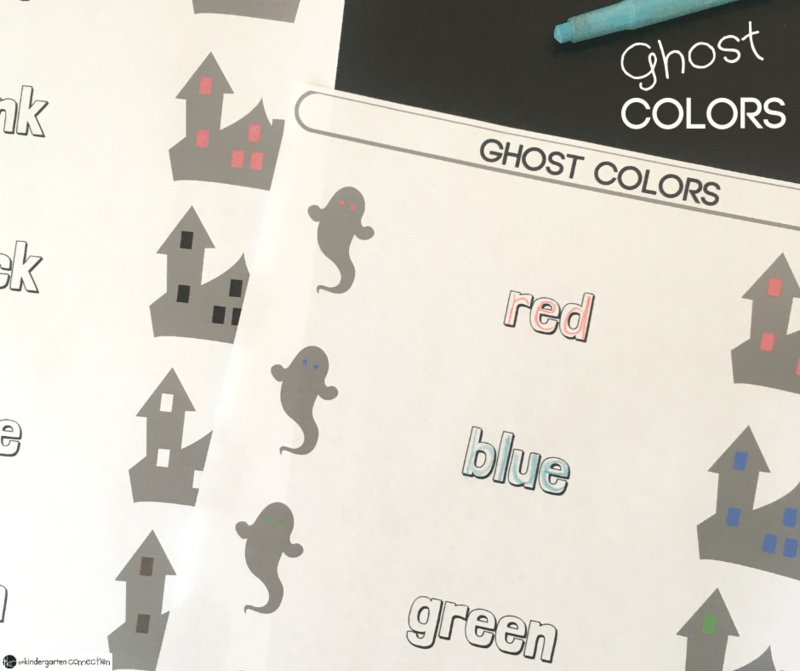 Let these friendly ghosts help your students to learn or revise their knowledge of color words – they will have a blast! *Pair this with our Halloween Centers for even more fun this month! Colors are something children learn to recognize from a young age. A child might know his colors, but do they recognize the names of the colors? It is important to know and so fun to learn color words with your sight words! 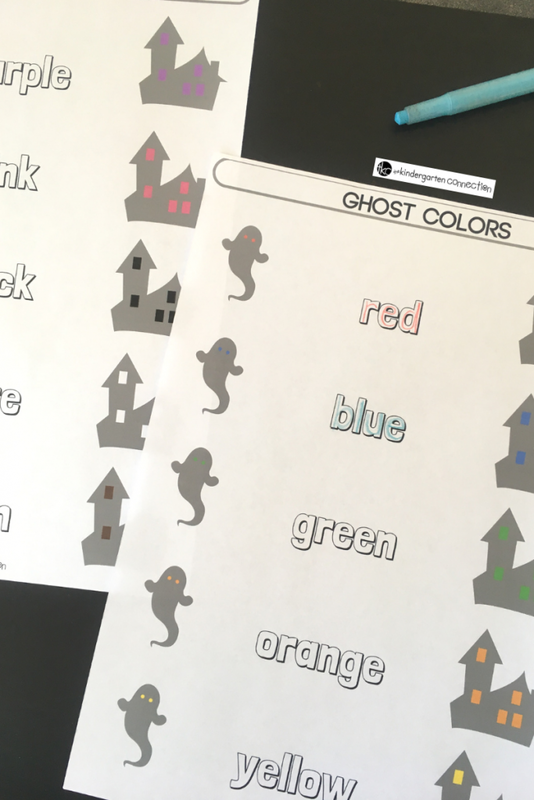 Here are 3 free printables to practice learning color words, each with a different level of ability in mind. 2. The sheets below are for children that need a prompt to learn to read the color names. 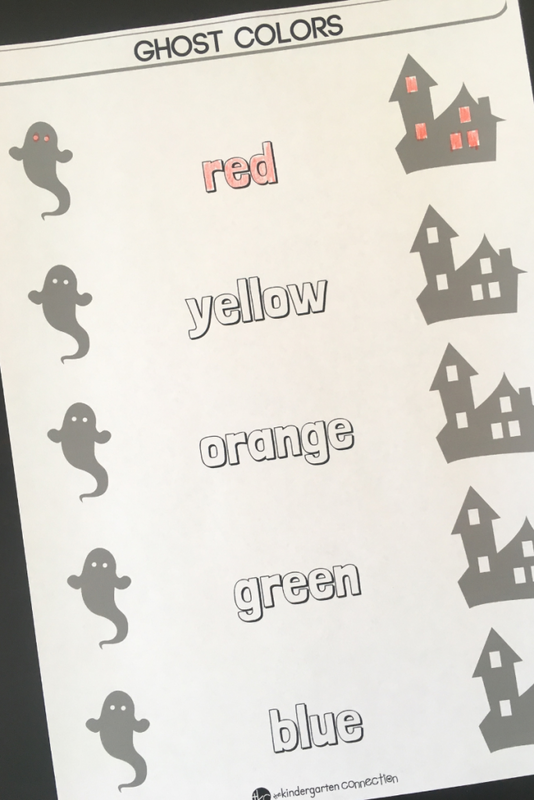 The ghosts and ghost houses show color, and the child must identify the color and then color the name the same. 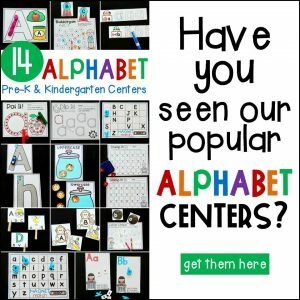 You can also use these as playdough mats by laminating them and providing playdough to form the letter names with the same color playdough! What fun! 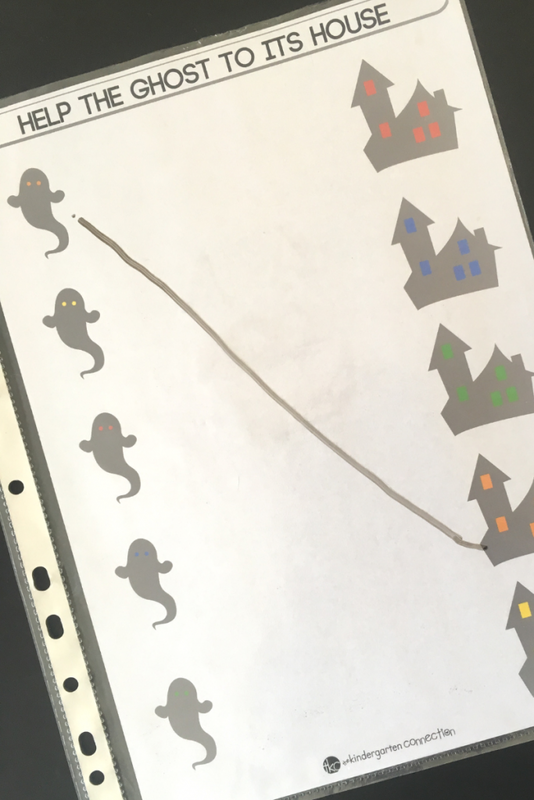 This requires visual perception skills-finding the same two colors, and fine motor skills to draw the lines. TIP: Laminate or use a dry-erase pocket to make it reusable! 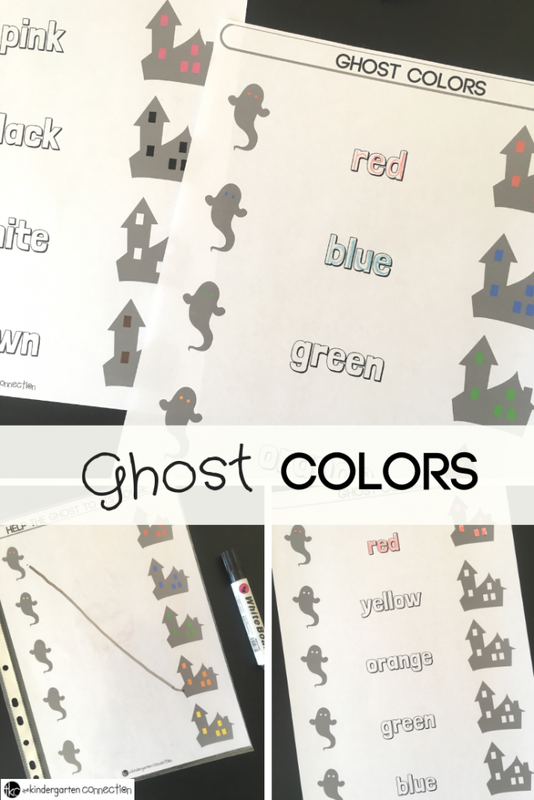 Let the friendly ghosts help you teach colors! 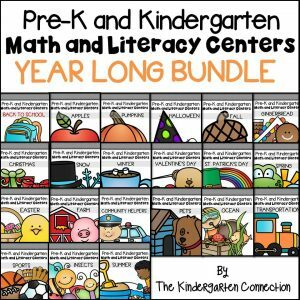 Your students will love it and it goes perfectly with a Halloween theme. Ready to work on learning color words? 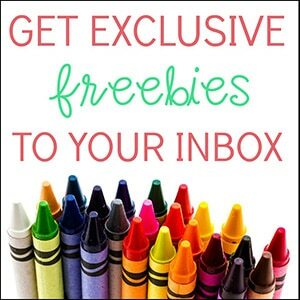 Grab your copy of these fun printables by clicking the yellow button below! 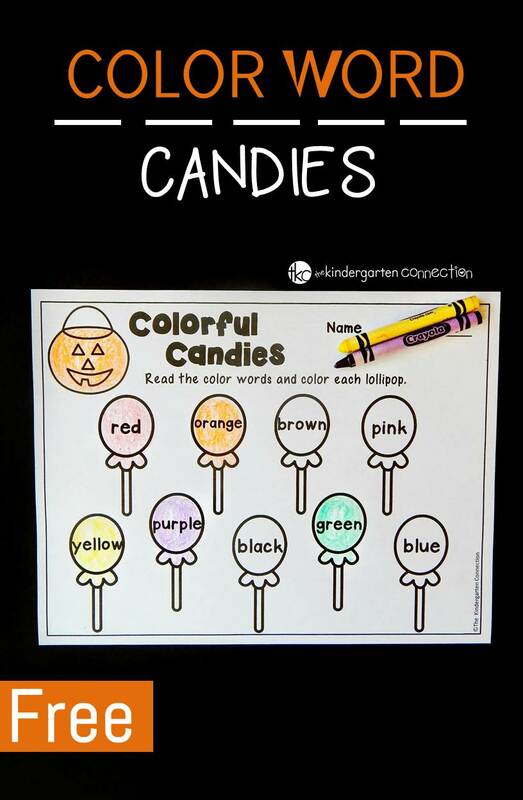 Then, for more Halloween fun learning color words, hop over and grab our Color Words Candies Printable!